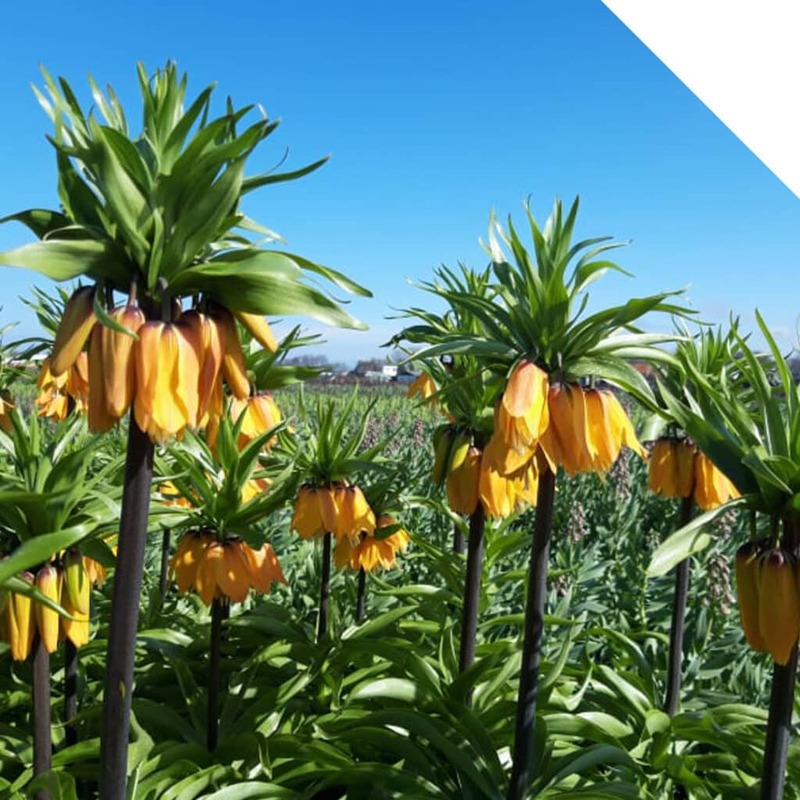 Fritillaria is available in quite a palette of colors, and they all have a bohemian look and feel. When you combine a mix of these beautiful spring flowers with the sturdy-looking Eryngium and the greyish green leaves of the Eucalyptus Parvifolia, it is like a Renaissance-like piece of art! 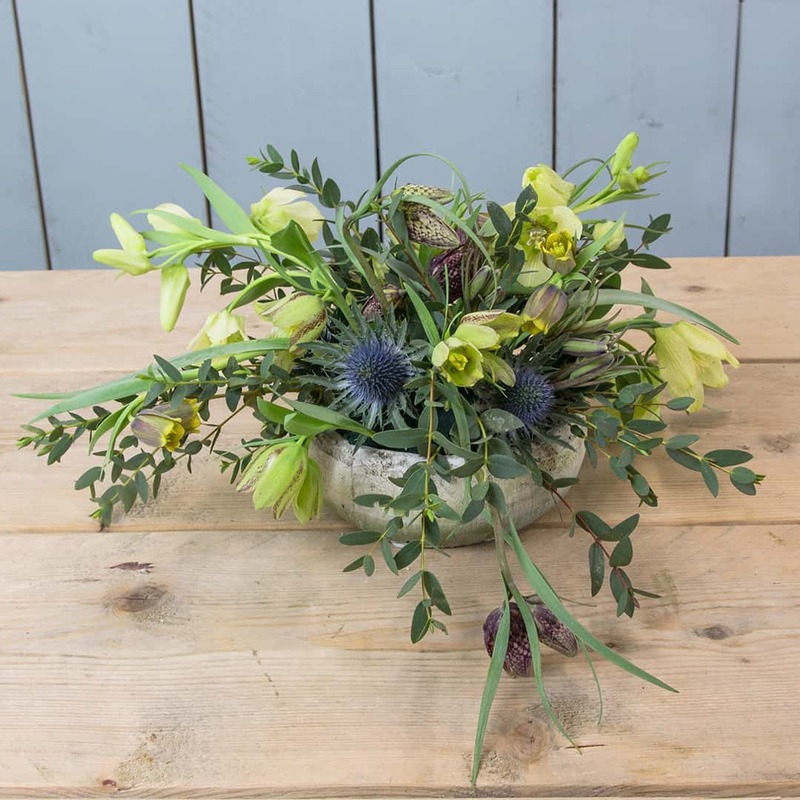 Be inspired by this video tutorial, follow the steps below and create this bohemian centerpiece with Fritillaria. Cut the floral foam in shape and push it firmly in the planter. Start with the Eucalyptus. Cut a little piece of the end of the stem and push them in the foam. Then add the Eryngium. Cut the flowers from the branch approx. 5 cm below the flower. Add the Fritillaria Pallida Dora. Make sure approx. 5 cm of the stem is clean of leaves. Now add the rest of the Fritillaria varieties to your centerpiece. Your bohemian centerpiece with Fritillaria is ready! Enjoy!